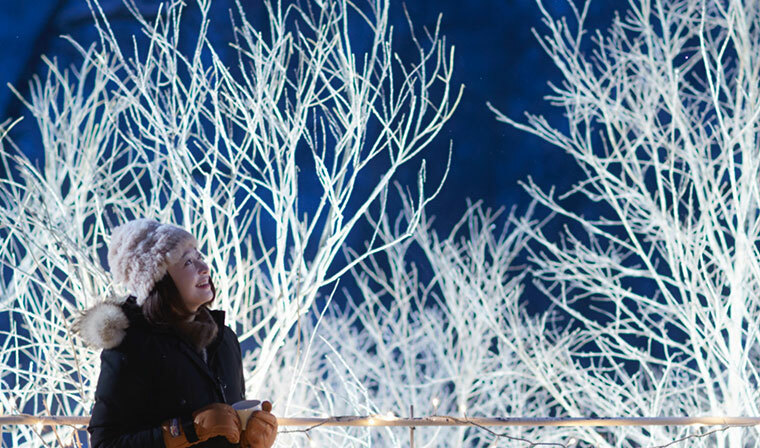 This project is for you to enjoy "frost trees" during night. The frost tree is the phenomenon that moisture and fog in the air adhere to trees under the temperature range of -2 to -10°C (14-28 °F). 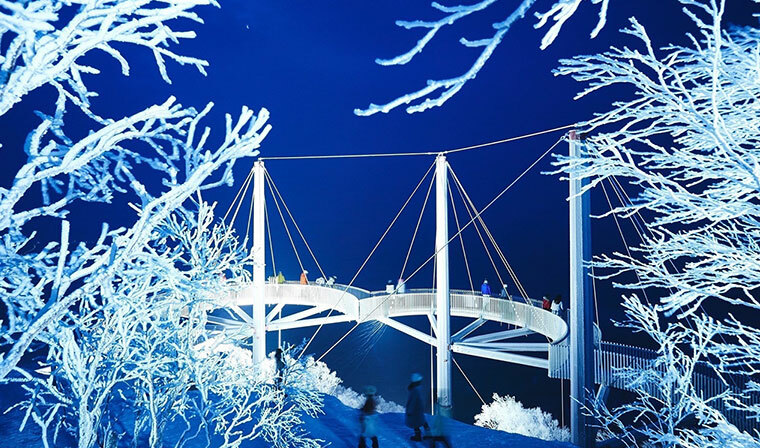 It lights up the surrounding of the overlook deck "Cloud Walk" at Terrace of Frost Tree, features that being able to stay surrounded by 360° frost tree. We also offer hot drinks imaging the frost trees to warm your body from inside even when staying below 0°C (32°F). * The gondola may be closed due to weather conditions. From this winter, the cloud walk and the way to there will be lighten up. The path is surrounded by frost trees and you will be 360° surrounded by frost trees at the end point. The glistening scenery where the frost trees illuminated by the light can only be seen at night. In addition, you may see the diamond dust, the phenomenon of freezing water vapor in the air. It takes about 13 minutes by gondola to or back from the Terrace of Frost Tree, so you can enjoy the magnificent scenery easingly and safely at night. 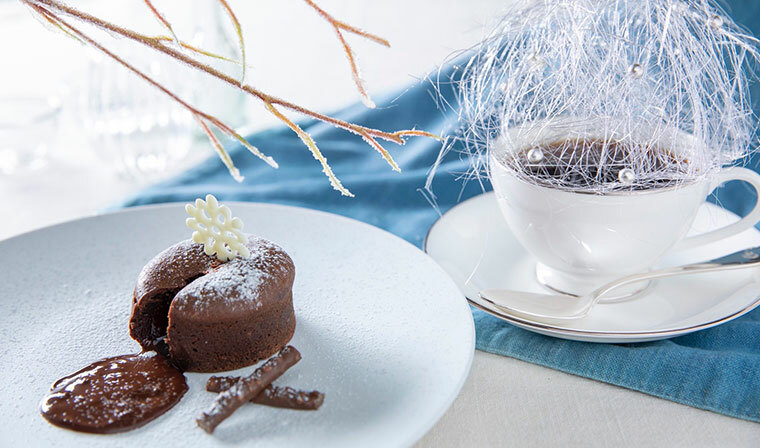 Warming your body with "Frost Tree Hot Campari" while enjoying the frost tree scenery. At Terrace of Frost Tree, we offer original drink called "Frost Tree Hot Campari". The heated Campari has a prominent aroma. 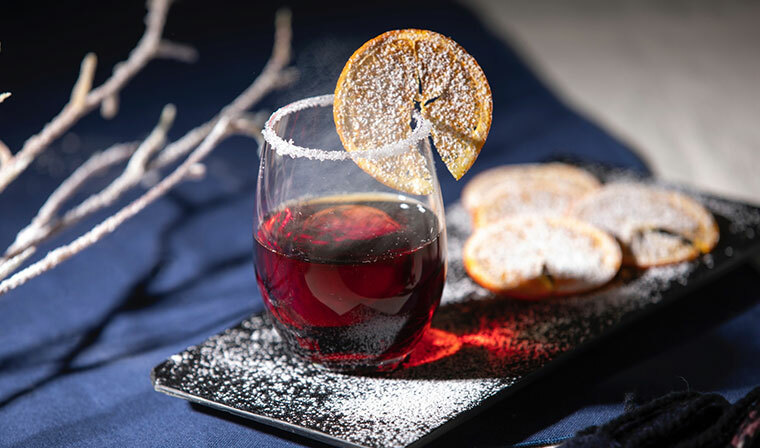 In order for you to warm up your body in the freezing winter mountains while enjoying the magnificent scenery, we have prepared the hot Campari mixed with orange juice. The cocktail glass is rimmed with sugar and decorated with round slices of orange sprinkled with sugar powder to mimic the image of frost trees. 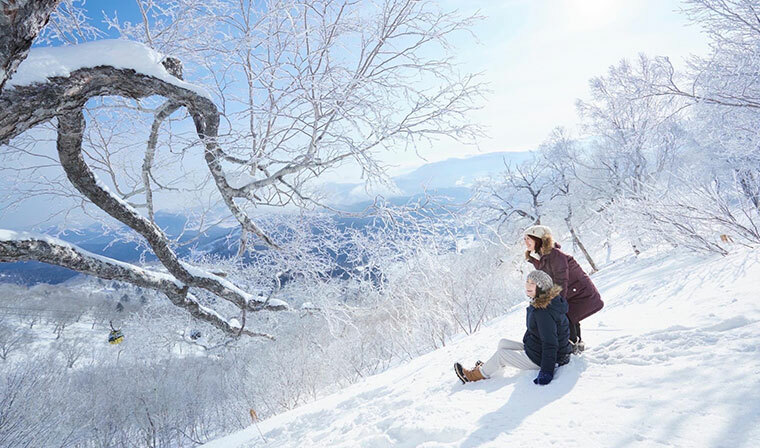 In the daytime, you can see the special view of landscape of Tomamu, where the temperature of winter is below freezing point. 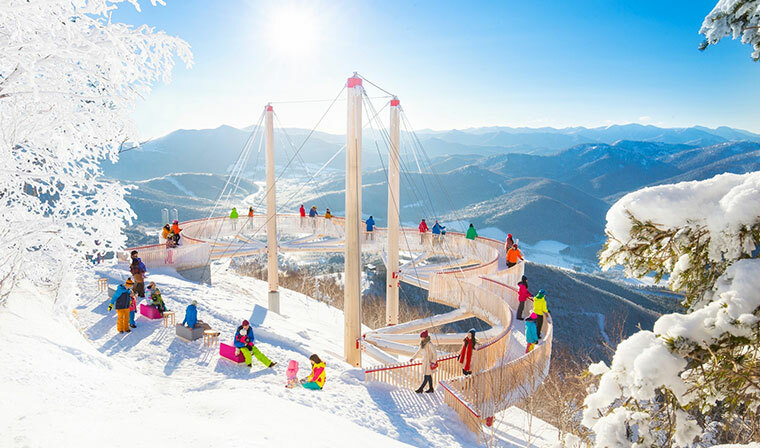 You can enjoy the blue sky, the snowy mountains, and the frost trees on the sunny day with clear air. The probability to see frost tree is 58% (*). 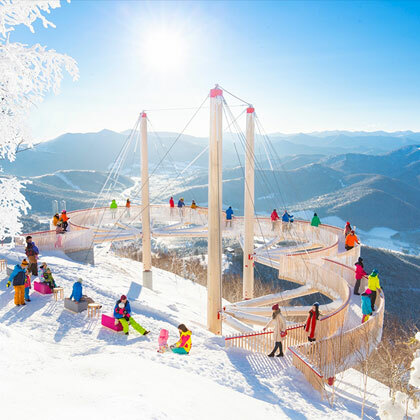 This is a place for not only skier and snowboard player, but also those who do not ski, can enjoy strolling around in the winter mountain together. A tour limited to one group per day. Put on the snowshoes and go to the areas that are not open to the public around Terrace of Frost Tree to observe the scenery of frost trees. The tour is only held when frost trees present. Enjoying the frost trees closely near the top of Mount Tomamu. During the tour, the guide accompanies and supports you from how to wear the snowshoes to how to walk safely. It is safe even for the beginners. * It may be canceled due to bad weather. An overlook spot of Mount Tomamu located at 1,088 meters (3,570 feet) above sea level. Enjoy the magnificent scenery created by the frost trees.